At the school board meeting on Wednesday night, the administration presented two preliminary redistricting scenarios. If the redistricting plan is not based on a model that accurately reflects enrollment trends, it will limit the district’s ability to administer equitable class sizes across all buildings. Last year, the administration recommended closing Peebles Elementary School based on a projected decline in elementary enrollment in McCandless. This year, there was a 60 student increase across Peebles (+15), Hosack (+20), and McKnight (+25). The projection model used by the district to make 5-year enrollment forecasts has consistently underestimated actual enrollment. 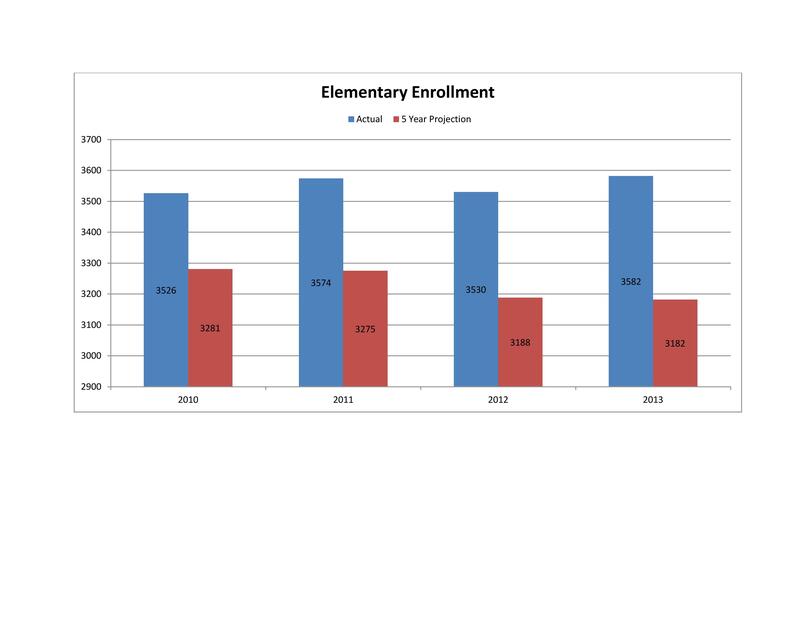 In 2008, the district predicted an elementary enrollment of 3,182 students for the 2013-14 school year—400 students below the third-day enrollment of 3,582 students. SaveNASchools has endorsed candidates who are focused on improving projection models and creating more transparency around the board’s decision-making processes. Please visit www.movenaforward.com to learn more.